Hubcast 162: A Whole New Hubcast For You! Are you a HubSpotter looking to take your inbound marketing to the next level? Would you like to stay up to date on all the latest and greatest HubSpot tools, tips, and tricks? 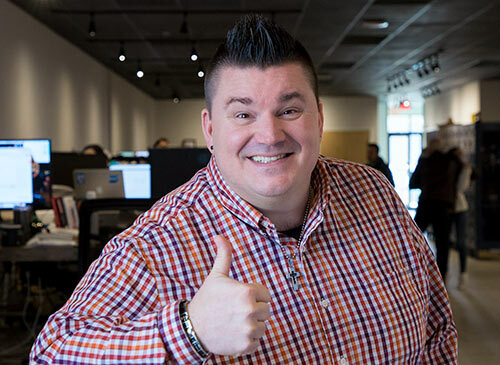 If so, you’ve come to the right place as George B. Thomas is ready to help you take your business to new heights of inbound marketing awesomeness! Friends welcome to The All-New Hubcast. This is the Hubcast’s first week as a part of the IMPACT family, and we’ve got lots of surprises up our sleeves. We chat it up with pro-marketer Angela O’dowd, unveil an awesome new look, and introduce a new Hubcast face. Stay up to date, Subscribe to the Mastering HubSpot channel. 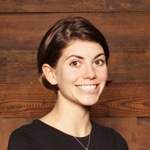 Angela manages Partner Marketing at HubSpot. She is interested in helping agencies drive retainer business and long-term clients by adopting inbound services. She explains how important from-rep lead nurturing is to your marketing strategy. Adding that additional specificity to the conversations with your potential clients can be a game changer for your company. Angela also explains the basic steps to use in HubSpot to make this a reality in your HubSpot account. 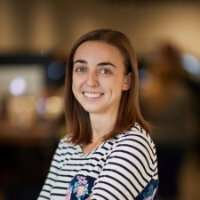 That’s right folks we bring you one of the best HubSpotters in the land, Carina Duffy from our very-own IMPACT. She will be bringing her high level of nerdiness, creativity, and experience to the show. Watch as we dive deeper than we ever have into the tactics, tools, and strategies that will help your business grow. Ceros is a content editing tool you can use with HubSpot to get creative with animations and interactive effects when designing content, gating, or customizing content on landing pages, stylizing forms, and tracking your audience behavior using the Ceros analytics engine. With this integration, you can access HubSpot forms directly within the Ceros design studio and style the forms using custom CSS. Yext is a digital knowledge management company whose Location Scan tool shows companies how their location information appears in Google, Yelp, Facebook, and over 100 other apps, directories, and mapping services. With HubSpot, you can turn Yext scans into leads instantly. Marketers using the Location Scan tool will see who has used the tool, scan results, and contact information from leads all within HubSpot and can follow up to start the conversion process. With its intuitive drag and drop interface, you can build an entire HubSpot website on your lunch break. There are over 500 custom modules to choose from, with everything from hero sections, image galleries, team sections, FAQs, pricing modules and more. You can preview your designs across desktop, mobile, and tablet, and then share them with colleagues instantly. Every module is priced individually, so you have complete control over the cost of your page. Once you’re happy with your designs, they’ll be imported into your HubSpot portal within 24 hours, where you can easily change images, text, and reuse every individual module over as many pages as you like. They’re back… Ding, Ding, Ding! That is right, have you loved the tutorials in the past? Wish there were even more? Struggling with something from the marketing, sales, or service side of the HubSpot tool? Email me at gthomas@impactbnd.com and I will get your tutorial in the queue. Who would you like us to interview on The Hubcast? We are going to be adding video interview into The Hubcast mix. Who would you like to see on one of our future episodes? Listening to the Hubcast? Please leave us a rating & review on iTunes. Watching the Hubcast? Make sure you subscribe to our channel and to stay up to date even faster, hit that bell. Regional Bar: Easy Sweater Design For Ladies & Gents || Two Colour Sweaters For Women And Men || In Hindi. When Should The Dog Fence NOT be Used?